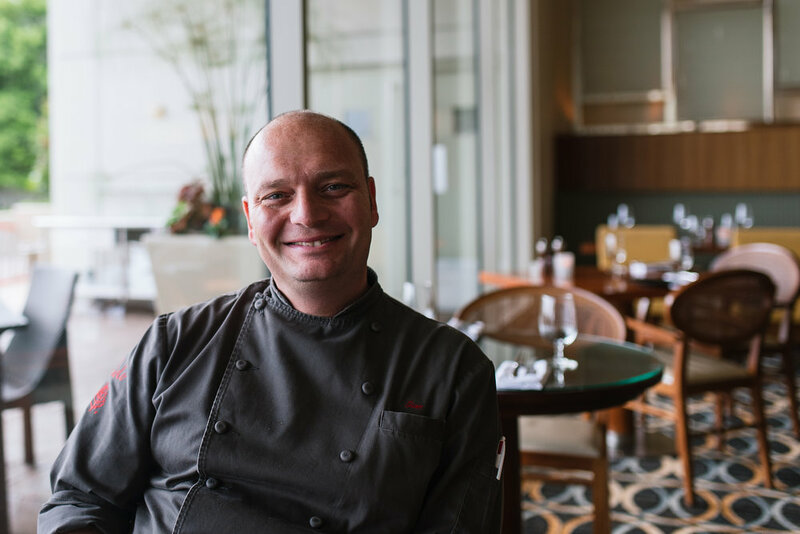 Meet Gian Nicola Colucci, the Executive chef of Cielo, and one Italy's finest exports, just behind Parmigiano Reggiano, tartufi, and Aceto Balsamico Tradizionale di Modena. I got the chance to sit down with him after a very filling taste of his new Piemontese inspired menu, which you can read more about here and here, to discuss where he came from, how he ended up in St. Louis, and his thoughts on BBQ. The important questions. I was born and raised in Torino, northwest Italy. A famous city. It was the first capital in Italy (then called Taurinorum) and home of Fiat. We really focus on our wine and food. We are famous for our cheeses, for our meats. It’s a place where you can eat raw beef without any problem. I started to fall in love with food when I was young, and at 16 started at a small restaurant. I started working with a masterchef at Del Campio Restaurant in Turin when I was 23. He taught me everything—not just about cooking. He was like a father. He taught me how to live. After 3 years, it was time to leave and see the world. I went to NYC and worked for Lydia Bastianich. Pandora’s box opened! I realized there is no single Italian food or Chinese food. There's a huge culinary world. I started to study the combinations of flavors, the difference between traditional, new world cuisine, modern cuisine, and fusion. I focus on my traditional dishes because I’m really close with my family, so I everywhere I’ve been, I've brought my plates. There are 50 plates that are a must. From Asia to the US, from north to south, these 50 plates end up on my menus. Things I was born and raised on. My mother made the pasta in house, made the sauces in house, and you want to go back into that flavor. It’s not easy, but it’s important to remember. It’s about respect for my family, my country, and where I came from. After New York, you worked all over the world, from London to Japan. How did you end up in St. Louis, of all places? I wanted to work for Four Seasons again, and in February 2013, I came to St. Louis for my interview. I had four days here. Land, make tasty food, then back to Italy. When I got to Lambert, they said, “we can’t find your luggage.” They said don’t worry, we’ll have it to you tomorrow. I had brought some pasta, some ingredients. My goal was to cook authentic Italian. But everything was in my luggage. No jacket, no knives. Next day, no luggage. I had my interview and had to wear the same clothes I’d just flown in. I was so embarrassed. Fortunately, the hotel provided me with a chef’s jacket and the sous chef let me borrow his knives. It was not easy; my knives bring me good luck and I didn’t have them. Luckily, everything went well, and I got hired. When I got back from Italy, there was my luggage. The funny part of this adventure was when I moved to St Louis, my luggage was missing again, and again I had to wait 3 days to have my stuff with me. How'd you like St. Louis American-Italian food? I knew about Italian-American food because of living in New York. It’s like pizza. Italian pizza is really simple and straightforward. There’s no sweetness. There are only a few ingredients. American style requires more sweetness, more fat. First generation Italians came to St. Louis and made their food, then the second generation became Americanized and started adding stuff. Big portions. I come from a place where we used to put 5 oz of meat on the plate, and now if it’s not 8-10 oz, they say, “that’s for the kids!” But I like the challenge and enjoy the different environment. As far as I know, you're the only first generation Italian executive chef in St. Louis. I’m lucky to be in this situation. People born here have a better concept of BBQ than me—I have a better idea of real Italian food. When people first asked me for chicken parmesan, I didn’t know what it was. So I had to look it up. I believe as chefs we have a responsibility not just to cook good food, but also to educate people about the food. Here, we have people who have traveled hundreds of miles. They’ve been flying all day. They just want a simple pasta with tomato sauce. A simple cauliflower soup. 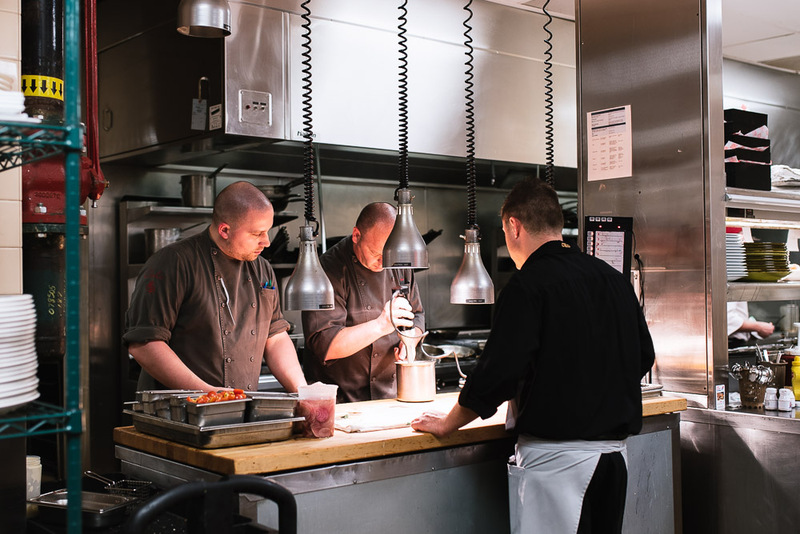 We like to be creative with dishes, but we can’t forget about the comfort of food. Food for your soul. We’ve changed Cielo’s concept to food like this, food you can share. In Italy, we all eat together, sit together, and have a conversation. That’s the idea. I don’t want my restaurant to be just for special occasions. We have an amazing view! I want everybody to come and experience it. We want to be simple, authentic, and understanding of our customers. I don’t want people to have to Google the items on the menu to understand what we are offering. I want to make memorable food. I used to make a tonnarelli neri—squid ink pasta with a bagna cauda sauce—it’s a traditional dish from Torino. I did it when I came here, then I took it off the menu. People kept asking me why we took it off the menu. Why did I take something off the menu that people have asked for since day 1? So it's back. Some friends here went to Naples and had a simple pasta that’s just done there. They kept asking about it. I was in Italy on vacation, so I bought the pasta, brought it back, invited them to dinner here, and made it. It’s a simple dish, but they were so happy. You could have given them $1,000 dollars and they wouldn’t have been as happy. Any favorite restaurants here in town? I have my favorites! If we’re talking about BBQ, I’m going to Pappy’s. For a steak, I’ll drive to Chesterfield and eat at Annie Gunn’s. Pizza, I’ll go to Katie’s. When I’m outside of Italy, I don’t eat Italian food. I like eating what the people eat. It’s why I like to travel. You have to go deep into the culture to understand what the guests want.